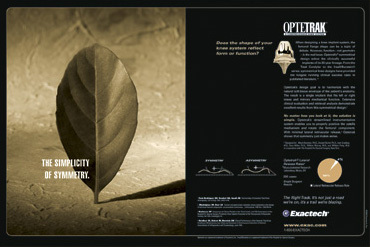 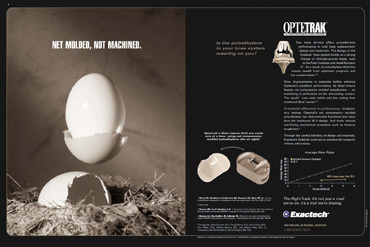 Because their replacement joint products are engineered to be as ergonomic and “based on nature” as possible, a nature metaphor was perfect for this series of ads for the Optetrak Knee System. 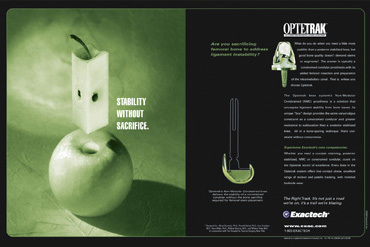 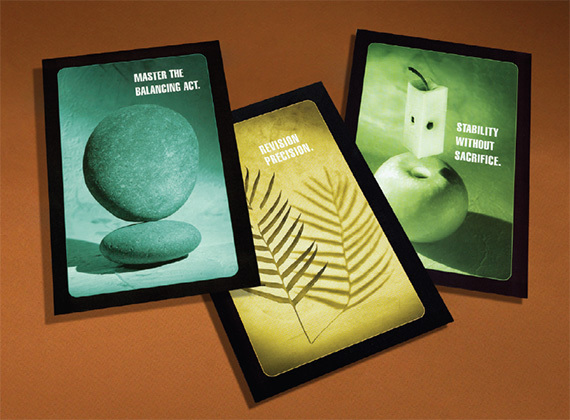 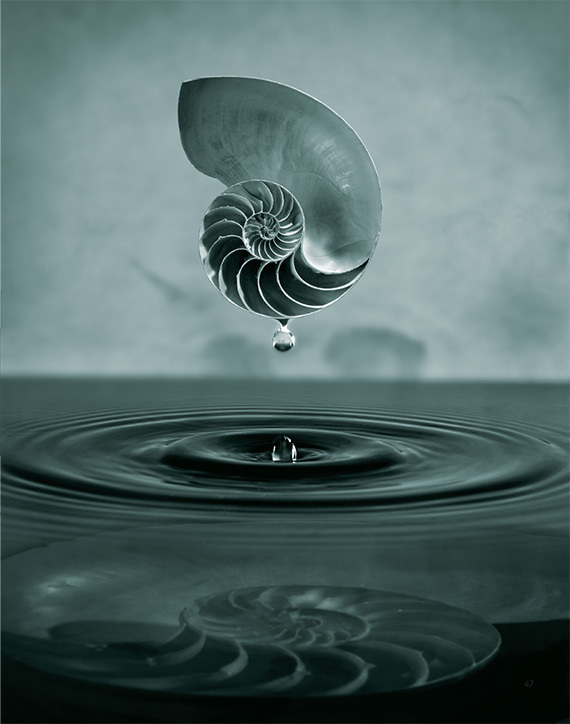 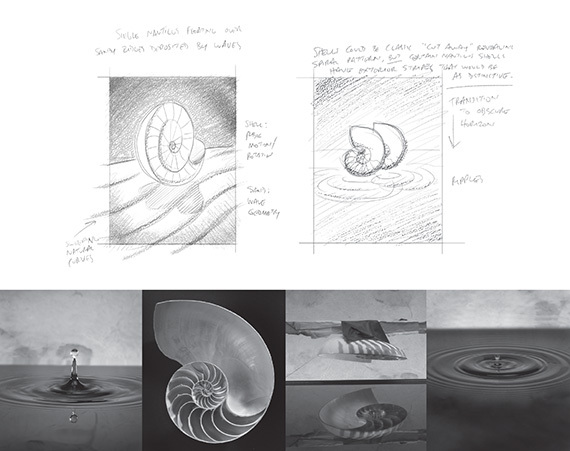 Each ad focused on a specific design feature, and objects from nature became representations of those engineering concepts. 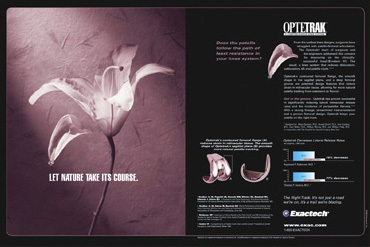 In medical journals full of x-rays and bloody surgical photos, the Exactech 2-page ads stood out brilliantly and gained the product a wildly successful amount of attention. 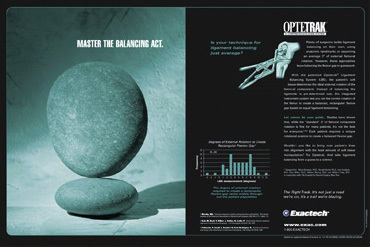 As a testament to the campaign's success, the original media plan was expanded to 10 ads and insertions in leading orthopaedic journals ran for more than 3+ years. 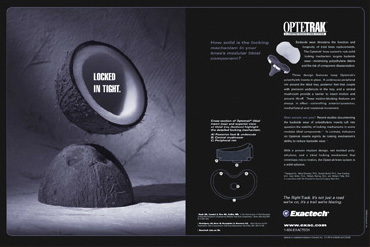 The most recent in the Optetrak ad series, the smooth, stable rotation of the Rotating Bearing Knee was captured perfectly by a nautilus concept. 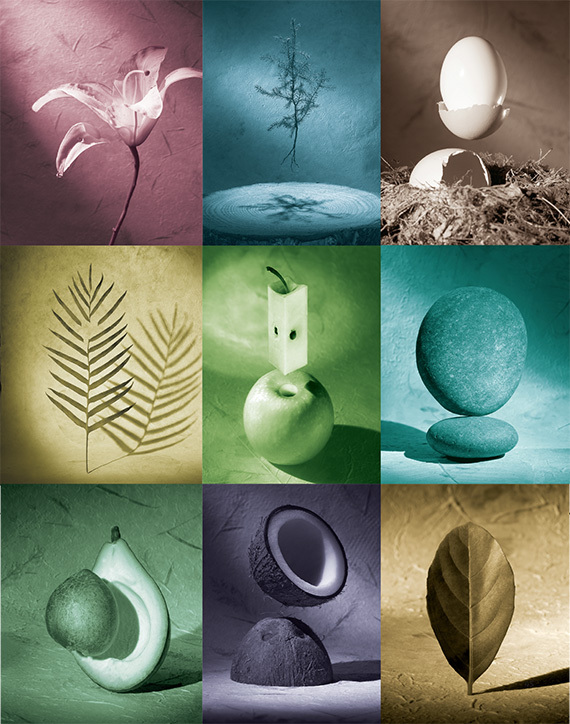 Developed over many sketches with the client and executed collaboratively with photographer John Jernigan, the final image was a combination of several different source shots, all composited and blended to form a singular image.